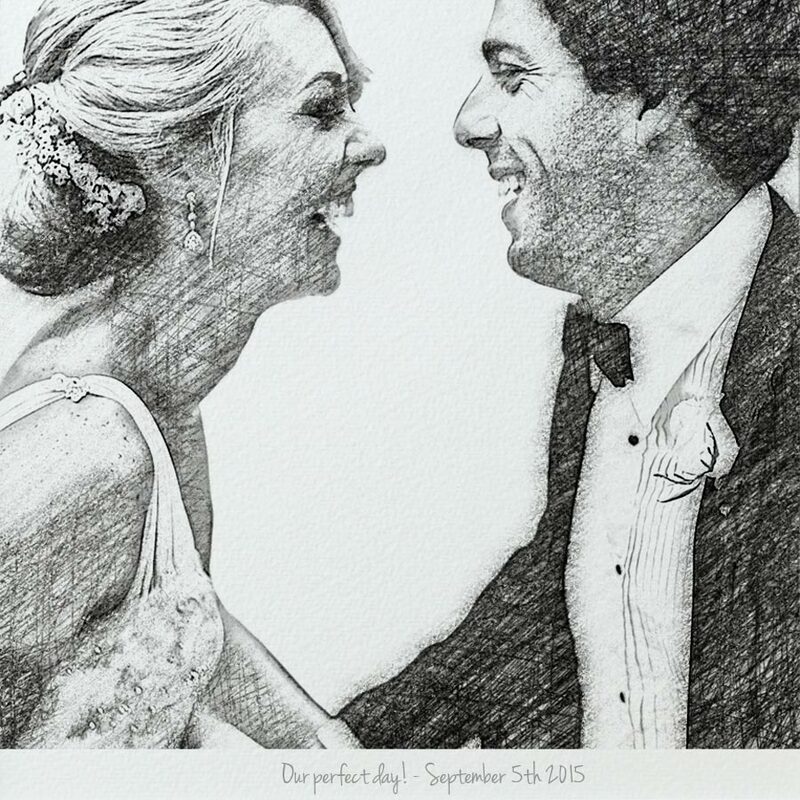 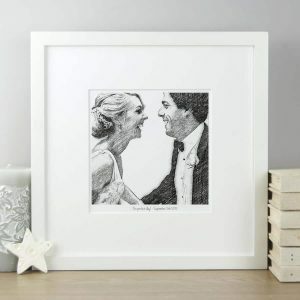 A beautiful coloured pencil style illustration from your favourite Wedding photograph. Giclee printed on 300gm acid free off-white Artists watercolour paper and comes with an off-white mount. Frame also available (+€25). Include names, date or personal message underneath in a handwritten font. We use our own custom digital filters to generate the illustration from your photo in a stunning coloured pencil style available in a range of colours (please see choose from the menu below for a more detailed view). Background can be excluded if you prefer, just click that option below. (Unframed): Mount: 32cm x 32cm (12.5” x 12.5”), Image size: 22cm x 22cm (8.5” x 8.5”). (Framed with mount): 35cm x 35cm (12.5” x 12.5”). Choose the colour range, upload your photo and fill in the ‘Add text’ box if required. Please make sure the photo is as large as possible (send the full size image from your phone or tablet). If you would like a proof emailed to you, please let us know, we can make minor adjustments if necessary.